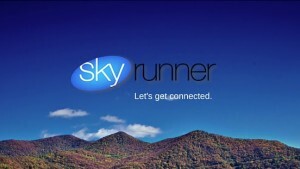 Skyrunner is a unique network topology made up of wireless and wired technology and employing radio technology (unlicensed spread spectrum frequency hopping) to provide high-speed Internet access. Recognizing the importance of high-speed internet to the new economy, Public Interest Projects worked with Don Davis of New Era Technologies, making significant investments in the emerging technology. Public Interest Projects sold its interest in the company in 2000, but continues to use Skyrunner in its offices today.